Adds under-barrel weapons to the combat rifle! Equip flamethrowers or grenades, both of which can accept any flamethrower/grenade launcher ammo. Adds changeable scope zooms! Zoom up to your scope's maximum zoom, in steps of 2-4-6-10x. Adds an optional plugin that gives NPCs variant ammo types. Now you don't need patches to switch ammo types on a weapon! You may need to for their rechambers, though. Adds better feedback to the ammo switching scripts- they should now explain why they fail (if they fail). Should it be necessary to remove the LOADS-related keywords from weapons, or it won't affect? It´s Posible to make Fuel (for the Flamethrower) that scrap? I don't know if this would be considered a bug since its how two different mods (Gunsmith Extended & LOADS) interact with each other and not an issue with the mod its self. I also don't know if you have any idea that its an issue or if its even possible to fix, but do you think you can look into why it may be doing this? Its probably just because it hasn't registered the switch to a different ammo and is only doing what it was told to do with the base guns, not even necessarily because of the way you made the mod but the engine its self. I believe there is an issue where if you have a converted ammo type(from Gunsmith Extended), you cant swap to ammo of that type. Ex. I have my Radium Rifle converted to use 5mm (vanilla ammo), I can use that ammo up to the point were I decide that I want to switch to 5mm Tracer(LOADS). 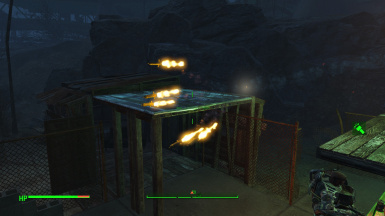 However, when I switch ammo I get switched to the default ammo of the Radium Rifle(.45) and can use all of the .45 ammo(LOADS only .45, not vanilla) I want even though I'm supposed to be using 5mm. The first screen shot is showing that it should be using 5mm, the second and third are after using the [Ammunition - Next Type] switcher and showing that it swaps to .45 Tracer(wont switch to .45 vanilla though even with 1k+ rounds of it). The fourth and fifth are after shooting all 30 rounds, it swaps back to "using" 5mm Ammo but doesn't have any ammo even with 2000 5mm(vanilla or LOADS) in my inventory. Two more after thought screenshots. The first shows the Gunsmith Extended mods that you can apply(last 3 mod slots) and the second is just showing the ammo conversion slot. If there is a simple fix I can do myself through the Creation Kit or F4Edit then that would also work. Very sorry for the messy paragraphs but I'm not used to putting in any kind of bug report so, and it looks terrible to me too but I couldn't find a way to make it better. This seems like a lot of trouble to do for something so simple. A lot of people don't use this because they don't want to go through this. What about simply using a line when you are modifying your gun to use a certain type of receiver that shoots each type of bullet for each receiver for that gun. So simple. One click. Yes you cant change on the fly but I would rather have that, or make another gun if you have to have two, one with each type. A plus is it can be then used for peasant players lol. I think this would make your customers explode. 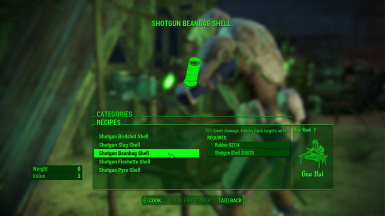 Ammo: Crafting different types of ammo and a switcher is easy and a person does not have to run back to a weapon workbench. All a person has to do is assign the switcher to a hotkey. Under-barrel weapons: Just add the under-barrel weapons to an combat rifle, craft the ammo for it, and craft the switcher for it. All a person then has to do is assign the under-barrel weapons switcher to a hotkey. Scope: Craft the switcher and assign it to a hotkey. Really simple, not a lot of trouble, and works great with the FO4 Hotkeys mod. Does this mean we can switch ammo for any standalone weapon mod that uses vannilla ammo? 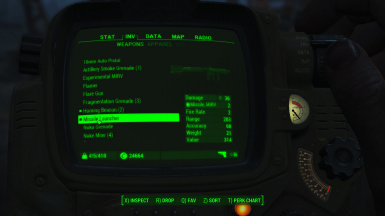 When I assign the switcher to a key using FO4 hotkey mod it assigns the weapon instead of the switcher. how do you use the under-barrel weapons? "Ammo: Crafting different types of ammo and a switcher is easy"
Not if you have DEF_UI or VIS installed. The new versions hide the ammo switcher for some stupid reason. How do I enable explosive ammo for 5mm from Weaponsmith Extended 2 to use loads ammo switcher function? 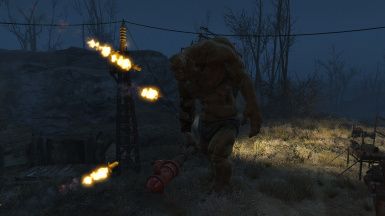 Not sure how to use FO4 edit to use it.sorry please advise. ex. : "help secondary 4 ALCH"
This command perform search for the "matchingstring" string, using filter "4" (other forms), in the form type ALCH (alchemy craft i guess, cause those "switcher" devices are supposed to be crafted in Alchemy workbench, as mentionned over the hundred of forum i read). 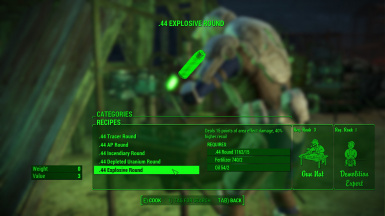 It list all alchemy craft with their ID, matching "secondary" so you have to pick the one telling "Secondary weapon - toggle", for this exemple, and use with "player.additem"
Once the item was in my inventory, I wanted to test, a little, just a little ... As a result, I filled my Sanctuary Hill settlers full of holes with AP, incendiary, DU, explosive bullets. I'm going to enjoy this BIG TIME! Cant get it to work whatsoever. I still don't understand how to us the ammo switcher I mad. I want to change my 50 Beowulf Over seers guardian from normal to AP. hot key it, how? The use explain is not detailed enough for a 1st timer. Can't I just change it permanently. This mod is not compatible with 2 of the most downloaded mods on nexus for fallout 4. VIS item sorting, and Def UI. If you are using weaponsmith and cant craft your ammo switchers, this is your problem. Def_UI and VIS both hide the switchers from the aid menu. Looking now for a patch, but I am about to the end of my rope with Fallout 4 modding in general. This "little" error cost me 3 days of googleing, and then I started using the process of elimination. After nuking 25+ mods I decided to get rid of the sorting mods as a last ditch attempt. Well, it worked..... You need to kill both Vis, and DEF_UI, they both hide the switcher from the aid menu. does the china lake need the M72 patch?